The Thai-Oil-Massage is a gentle, very soothing massage. 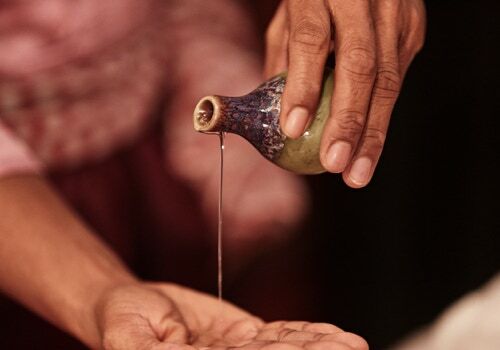 Selected aromatic oils will be combined while you experience this very relaxing massage. Enjoy the positive effect for your body, soul and mind. Discover the healing effect of pure essential oils. These fabolous oils will soak deeply into your dermal layer and calm down the entire circulation. The nervous-, blood and lymphatic system is stimulated by massage in combi- nation with the power of pure precious and essential oils. Recommendation: We kindly ask you to bring some more time with you to enjoy this relaxing massage to the fullest. We would therefore recommend you a treatment of 90 to 120 minutes. If you have less time – we are also very pleased to offer this treatment in a 60 version.